Note: images licensed from The National Archives of the UK - Crown Copyright NOT expired. 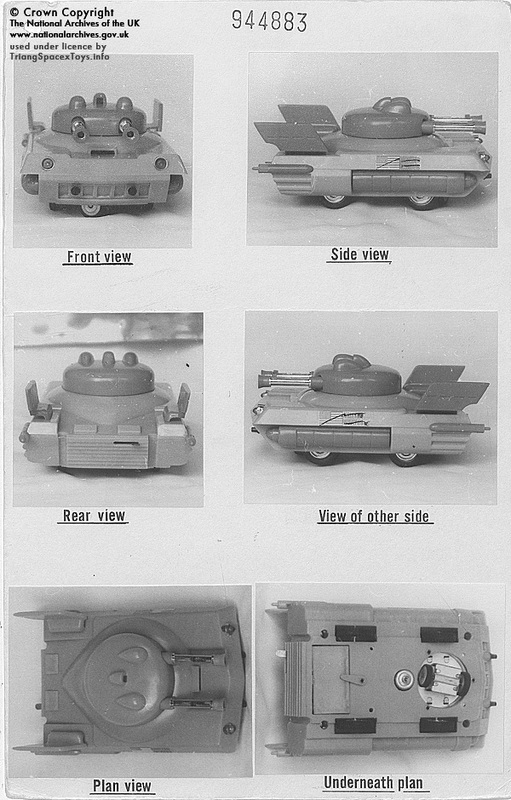 This design shows the prototype for the Project Sword Hover Tank in plastic, which was never taken into production. It was clearly intended to be motorised with bump'n'go action. More below the document. 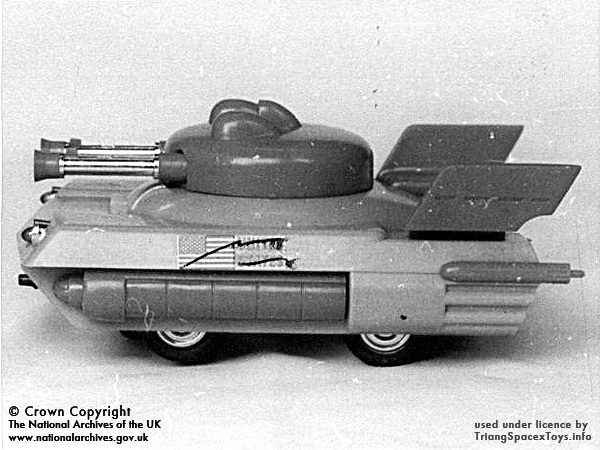 The "Battle Chariot" Hover Tank first appeared as an illustration by Eric Eden in the "Defence 2066" feature included in the TV21 Summer Extra annual published 1966, and subsequently in the Dutch Thunderbirds Extra 2 annual which is where I first saw it when young. 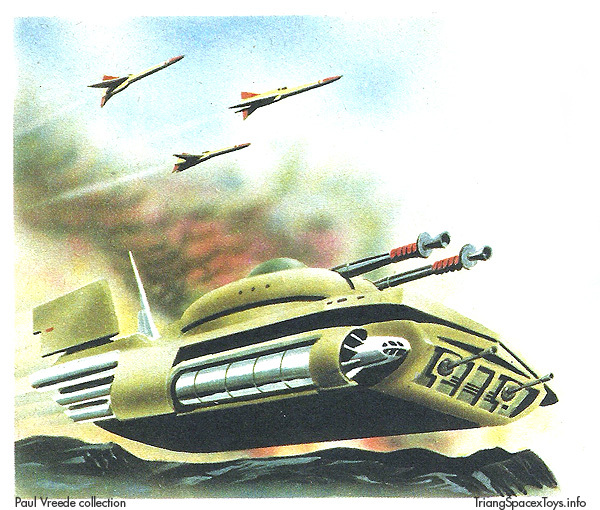 The design was next turned into the Project Sword Hover Tank for the Project Sword annual in 1968, illustrated by an unknown artist. 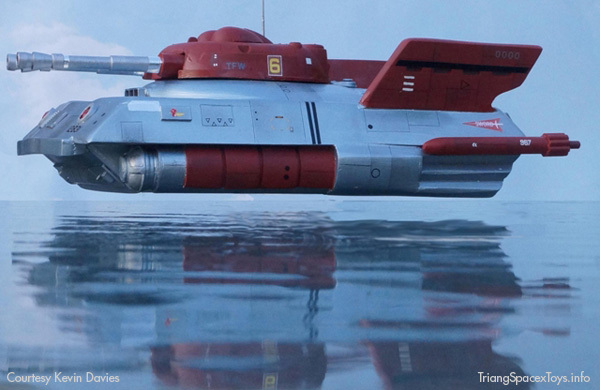 This indicates it was intended for that range of vehicles, which consisted of already-existing toys sourced by Jack Rosenthal from various manufacturers, to be sold supported by the storyline invented to fit them. 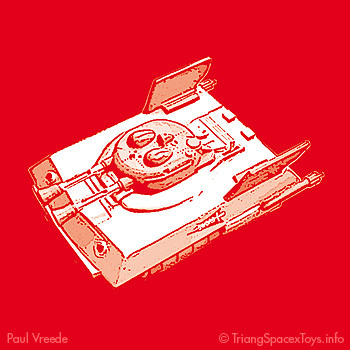 The discovery of the Hover Tank photographs eventually did lead to another very nice initiative, in that Paul Woods gave two plastic Marx tanks to expert modelmaker Kevin Davies, who used them as a base for building two Hover Tank models. 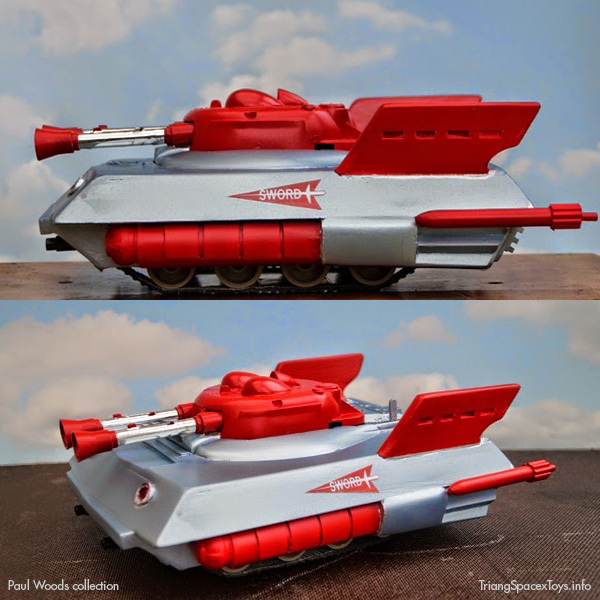 One for himself (above), following the illustration from the Sword annual, and the other for Paul (below) as a might've-been toy based on the registration photographs. 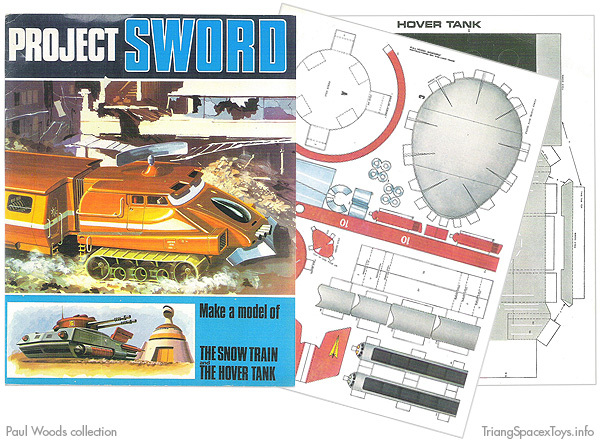 1: The Project Sword annual shows another vehicle, the Snow Train, which was also made available as a paper kit. And the Moon Crawler, which didn't appear at all in any shape or form. It's tantalising to wonder if these two vehicles might also have been planned in plastic after all, and whether we'll ever find any trace of such (they didn't appear amongst McArthur's registered design applications).